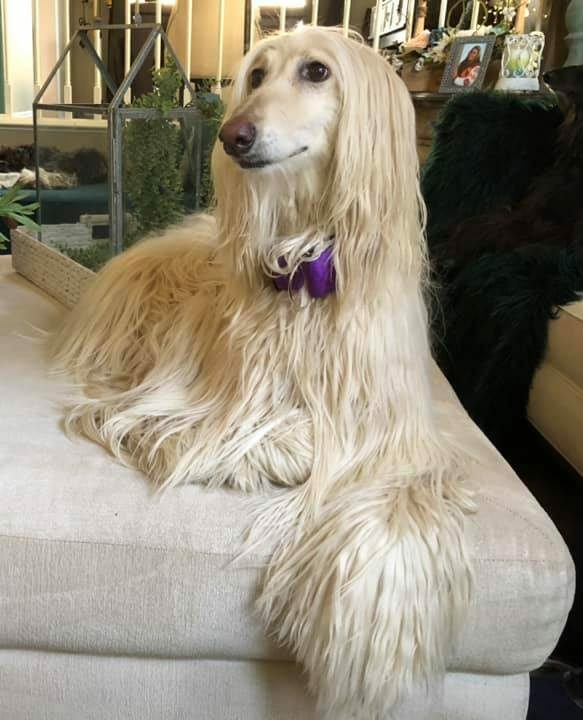 Afghan Hound Rescue of Southern California, Inc. is a non-profit organization whose purpose is to rescue stray, abandoned, relinquished and/ or impounded Afghan Hounds. Veterinary care is provided- prior to adoption according to the dog’s needs, always including spaying or neutering. 25% of dogs in shelters are purebred. Sadly, puppy-mills and pet stores who sell puppies contribute to pet overpopulation. Adoption is a very loving alternative to buying a puppy and it helps control the population of pets! If you have visited our site before please note that new rescues are posted often. 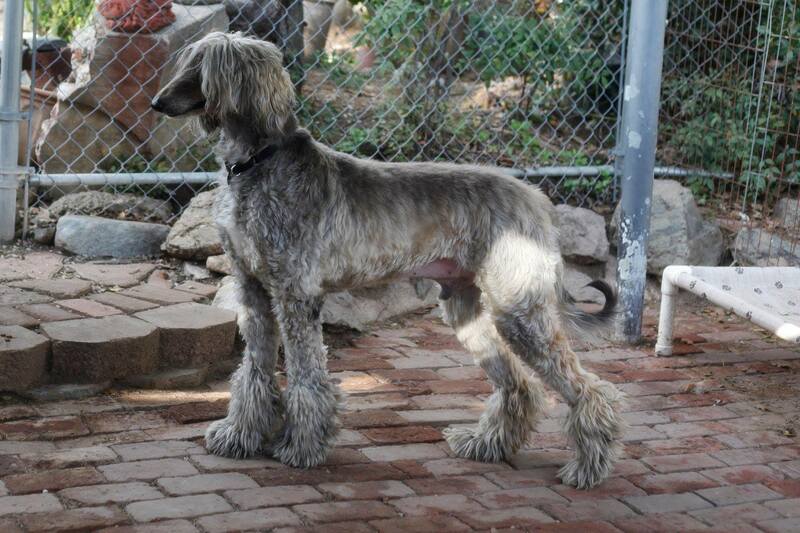 We usually have Afghan Hounds of varying ages available for adoption. In addition, please do not judge the Senior hounds as being too old. Adult and Senior dogs are most always house trained, full of love and are just wanting to be given that chance to show you how special they can be. 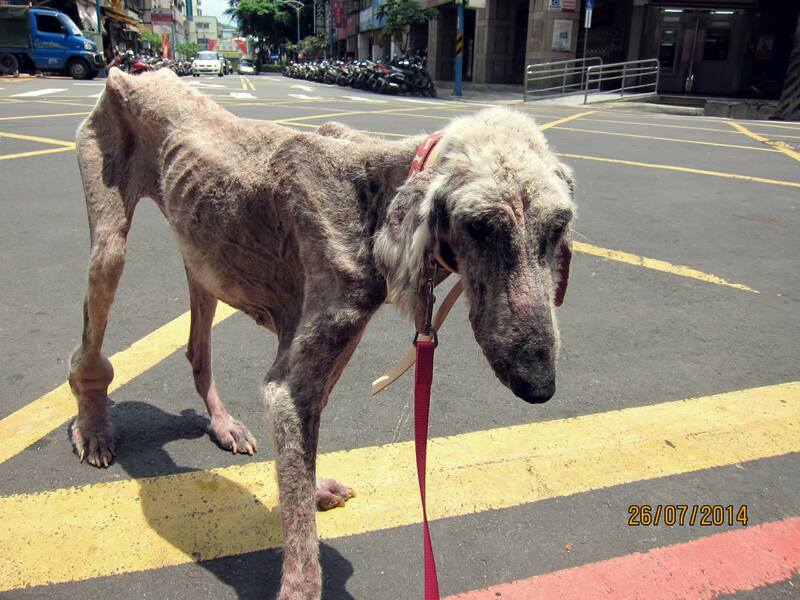 Many of the Senior hounds get over looked and will most likely live out their life at Rescue if not given a chance. It doesn’t have to be that way. Please contact us about additional information on any of the Rescues and consider giving a Senior dog a chance along with the younger ones. 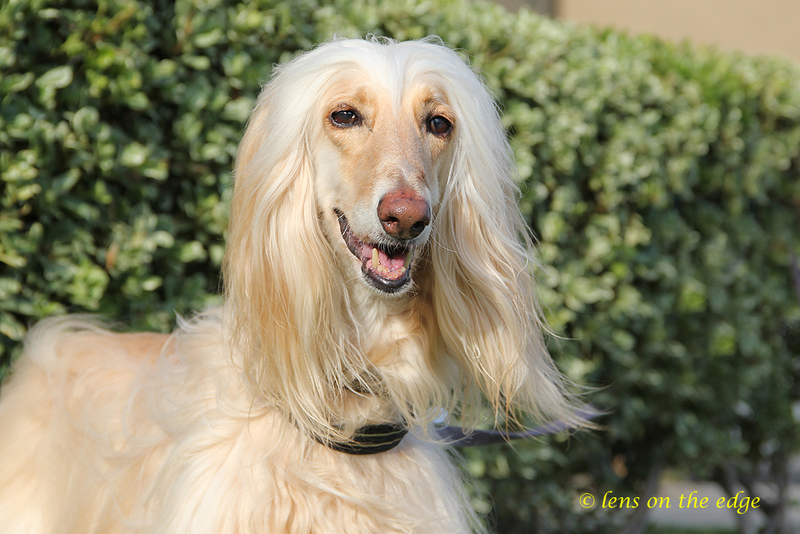 A very big thank you to all the people who support Afghan Hound Rescue of Southern California. 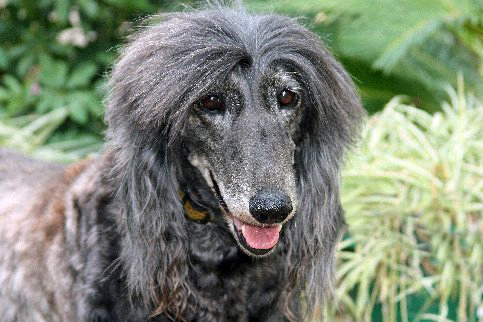 Without you, these beautiful Afghan Hound Rescues would not know the love they have now. Many thanks to Chuck Hartman for this amazing video! Layla was one of the Magnificent Seven rescue from a terrible hoarding situation in Korea. She was Pandora’s cage mate. She was in rescue for a few months as well but then was adopted by Donna Wanser. 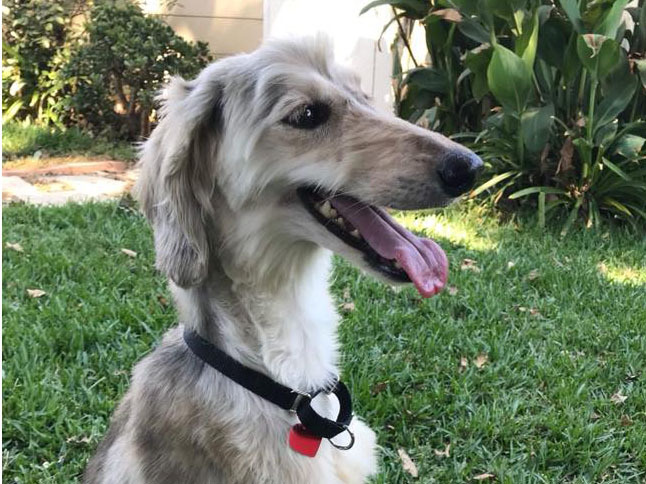 She lives with her afghan hound family, Donna and Rick. She was recently on the Hallmark Channel’s American Rescue Dog Show where she was a semi-finalist in Couch Potato. Layla is gorgeous and very loved. A very big, heartfelt thanks to the people who currently adopted some of our senior dogs. Thank you for seeing their potential, thank you for loving them and we know they will thank you in return with a multitude of unconditional love and devotion. There are currently additional senior dogs at Rescue and if you can’t adopt please consider becoming a Hound Hero and Sponsoring one. A Hero is someone who changes anyone’s life in a positive way! Make a difference in an Afghan Hound Rescue’s life! Our Sponsorship Program allows an individual who is unable to adopt at this time the opportunity to become A “Hound Hero” by making a financial donation towards a particular adoptable’s care. Thanks to all of you from all of us. There are not enough thank you’s to all the Volunteers and Sponsors who help AHRSC in so many different ways. 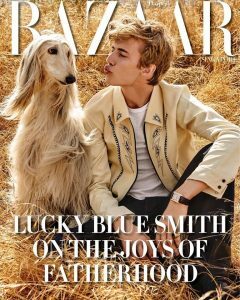 Fostering, Hound Hero sponsorship of a Rescue, Rescue pick-ups and transportation, Grooming, photography, raffles and much more…. Most special is to see these Rescues rehabilitated back to healthy Afghan Hounds with a beautiful life ahead of them now. Simply select the product you would like to donate and pay a discounted price for it. Kuranda does the rest! We ship the product for free, directly to Afghan Hound Rescue of So. CA, Inc.. You can even Donate a bed as a gift or in memory of a loved one and we will mail a FREE Personalized Gift Acknowledgement Card from you! Error: Error validating access token: Session has expired on Monday, 11-Mar-19 18:40:51 PDT. The current time is Friday, 19-Apr-19 13:32:27 PDT. Afghan Hound Rescue of So. CA is a 501 (c) (3) non-profit organization staffed entirely by volunteers. Without your generous contributions and help, this rescue organization would not exist. We rely on donations to cover medical expenses, food, and other costs for our fosters who are waiting for their forever homes. Afghan Hound Rescue of So. CA is a 501 (c) (3) non-profit organization staffed entirely by volunteers. Without your generous contributions and help, this rescue organization would not exist. 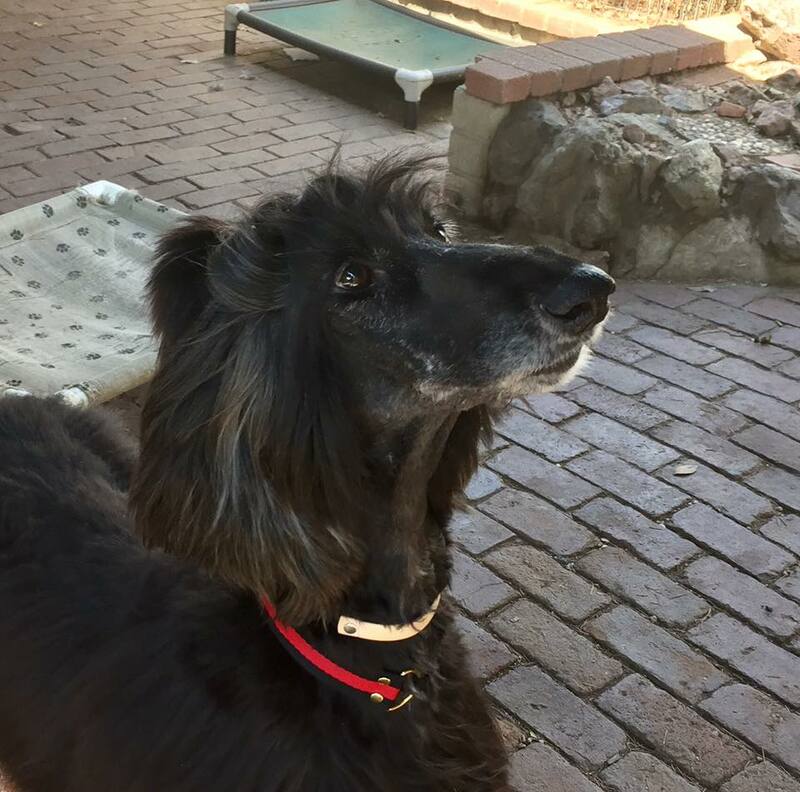 Our Sponsorship Program allows an individual who is unable to adopt at this time the opportunity to become A “Hound Hero” by making a financial donation towards a particular adoptable’s care.